The new Intel Sunny Cove CPUs feature a wealth of improvements. Intel showed off a new 10nm Sunny Cove core on Wednesday meant to introduce faster single-threaded and multi-threaded performance when it debuts. Intel has been criticized in the past for reusing older cores with its recent CPUs, so this is the company's attempt at bringing something new into the fold. It appears Sunny Cove will be used in Intel's newest Ice Lake-U CPUs next year, which are said to be "deeper, wider, and smarter," according to Intel's Ronak Singhal, director of Intel's Architecture Cores Group. Singhal elaborated on this by stating the "deeper" part of the equation means Sunny Cove cores will be increasing cache sizes. In terms of the "wider" qualifier, the new cores will be able to perform additional operations in parallel. Smarter seems to speak for itself, which combines these facets together under one umbrella – but for the sake of lining things out, Intel has stated Sunny Cove increases the performance of specialized tasks by adding new instructions to help speed up the performance for machine learning and even cryptography and AI. The cores won't be the only improvement, either. Sunny Cove chips will include improved "Gen. 11" graphics, becoming the first integrated Intel graphics to offer a teraflop of performance. There's also the prospect of improved gaming, and improvements to the QuickSync feature the chips utilize for encoding and decoding. The new CPU will increase memory support as well by upping the address space from 48 bits to 57 bits. 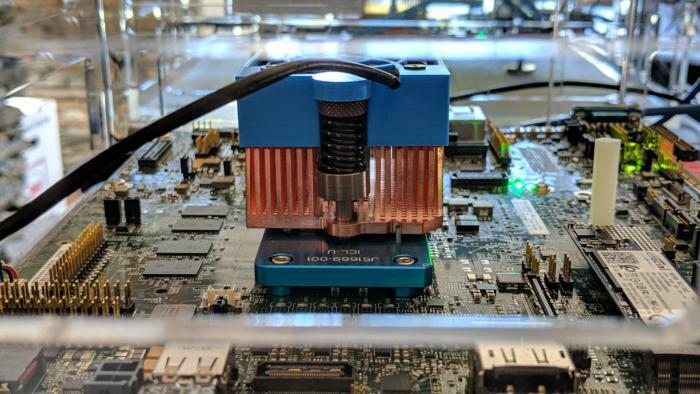 It results in a difference from 64 terabytes to 4 petabytes in the new cores, which is certainly something to consider, according to Singhal, for consumer CPUs in the future that require a massive amount of memory. 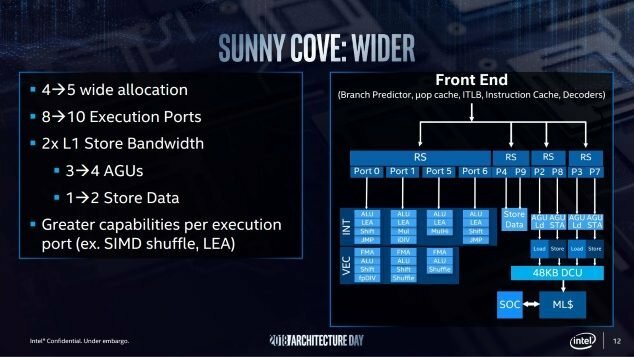 There are additional details coming down the line soon regarding Intel's Sunny Cove cores, according to the manufacturer, but these are certainly some droolworthy specs to think about at the moment.